1. Andy is alive and kicking!!! I know being alive and kicking is a saying, but in this case, it’s also literally spot on. 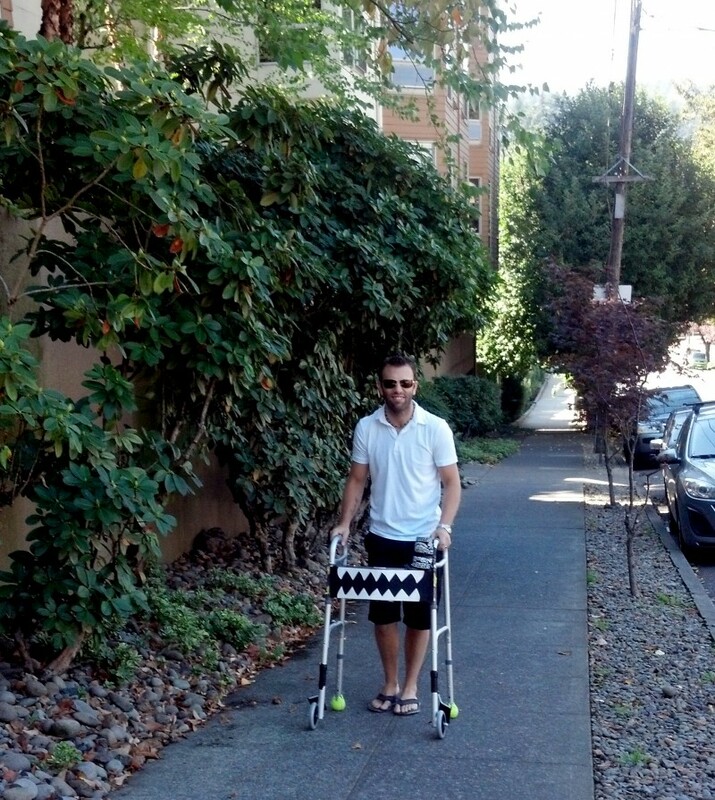 The tumor is gone, the cancer is gone and the use of Andy’s legs remain intact and for this I’m crazy thankful! I know that good writers should use exclamation marks sparingly but good writing will have to wait on this one. There just aren’t enough exclamation marks in the world to express how happy I am about this one!!!!!!!!!!!!!!!!!!!!!!!!!!!!!! No more cancer for this guy! 2. Everyone else is healthy too. There have been a few health scares this year among friends and family but thankfully everything has sorted itself out and left everyone healthy and happy. Whew. 3. All the things that make my loved-ones happy. These things are different for everyone but it always makes me happy when the world smiles on the people I care most about. My sister is getting closer by the month to earning her bachelors degree, one of my friends is expecting twins and two other friends just closed on their dream home. I’m not poised to gain anything for any of those feats but by golly, they make me happy anyway. Yep, these great things and more have made me “like button” happy lately. It’s a travel blog, after all, so of course this one is going to be included. 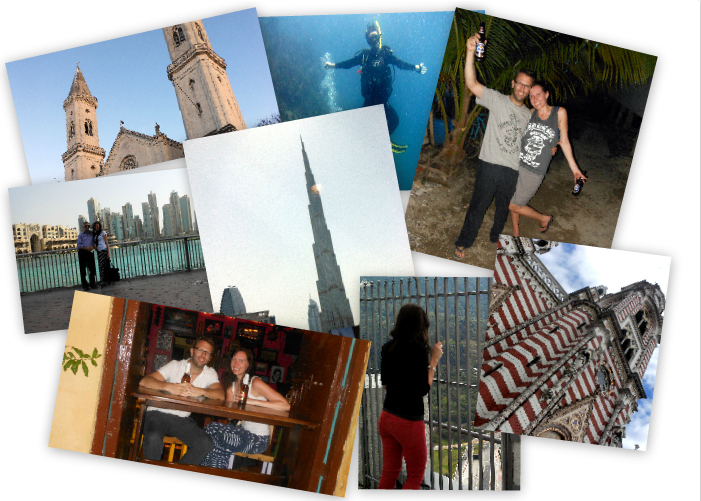 Since last Thanksgiving I’ve been to around the globe to Germany, Honduras, the United Arab Emirates and Colombia. Closer to home I’ve been to Texas, Vegas, California twice and let’s not forget last week’s trip to exciting Boardman, Oregon. I’m one lucky human being and I’m immensely thankful for every trip, every experience and every person that makes it possible. A special thanks goes to my wonderful mom and sister who so generously watch Chaos while we’re gone. Seriously folks, dog-shares are the way to go. 5. A new year is just around the corner. So far, 2014 is gearing up to be a good year. We have a few trips coming up and we have some other good stuff in the works too. Yep, I can just feel it… 2014 is going to be a winner, a winner for all of us. To all you other Americans out there, eat, drink and be merry and to everyone else, why not do the same. Find some good friends, some good food, some good wine and say thanks for a few of your own favorite things. 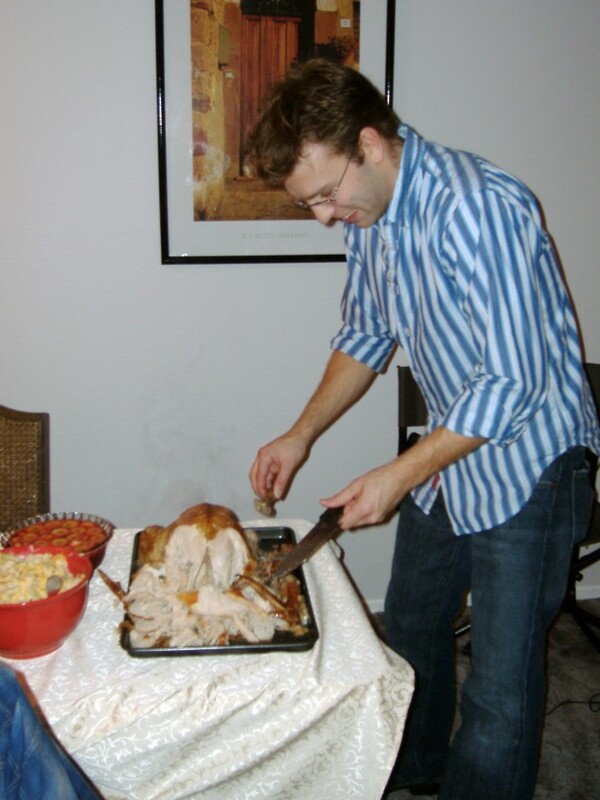 Here’s Andy carving the turkey on our first Thanksgiving together back in 2005.
wonderful recap….thanks for sharing so much of your journey this year, not just to exotic locations..best to you and Andy! !